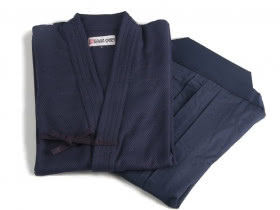 Revocation - Revocation - kendo-sport - Der kompetente Kendo-On­line­shop. You may withdraw your order at any time up to 14 days in writing (for example: letter, fax or e-mail) without giving any reason. If you already have received the ordered goods, you will just need to send them back. The 14 days deadline begins upon receipt of this notification in writing, but not before receipt of the goods by the receiver (in the recurring supply of similar goods not before receipt of the first partial delivery) and also not before meeting our information requirements according to Article 246 § 2 in conjunction with §1 section1 and 2 EGBGB as well as our obligations under § 312e section 1sentence 1 BGB in conjunction with article 246 §3 EGBGB. In order to ensure that the withdrawal takes place within the deadline period, it is sufficient to send the revocation advice or the goods on time. In the event of effective withdrawal, any mutually received benefits are to be refunded, and possible benefits derived (e.g. interest) to be returned. Should you be unable to return the entire or part of the goods received from us, or only to do so in a deteriorated condition, you shall then provide an accordingly compensation. This shall not apply if the deterioration of the goods is exclusively attributable to their examination as would have been possible for you in a shop. For any deterioration that occurred by using the goods as intended, you do not have to pay an indemnification. Items suitable for delivery by parcel are to be returned at our risk. You have to pay for the return postage costs yourself if the received goods correspond to what you have ordered and the sum of the goods does not exceed 40 Euros, or if in the case of a higher price you have not yet paid or made a deposit in accordance with the contractual agreement. For all other cases, return shipment is free of charge. Items not suitable for shipment by a parcel service shall be picked up at your location. Obligations to refund payments must be met within 30 days. The deadline begins for the customer on the date the notice of withdrawal has been sent or the date of posting the returned items, and for Kendo-sport with the reception of the notice or of the returned items.